Situated by the Theresienwiese, the Four Points by Sheraton Munich Central offers comfort and undisturbed quiet amidst Munich's famous sights. The shopping galleries, pedestrian zone, and central rail station are just a 10-minute walk away, allowing you to get to the airport and the exhibition center quickly and conveniently. Our 102 spacious, comfortably appointed rooms are available in three different categories. The American Bar serves a broad selection of snacks and there are a variety of national and international restaurants surrounding our hotel.After a tiring day you can relax in our Isargrotte spa, where you will find a sauna, steam bath, and whirlpool. 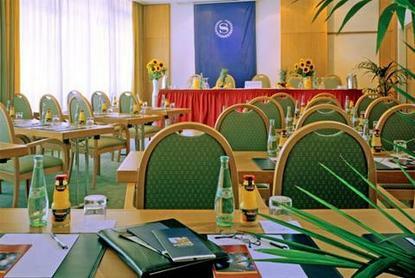 A separate conference floor provides event rooms, which are comprehensively equipped for professional presentations. Welcome to the Four Points by Sheraton Munich Central, in the heart of Munich's city centreSpecial Condition: From December 21, 2008 through January 4 ,2009, this hotel will be closed. Please contact the hotel for further information.